Most great films, and even just stories, begin and end in the same place. It’s a useful vehicle for storytellers, and one that allows the audience to see how the characters have changed and grown. 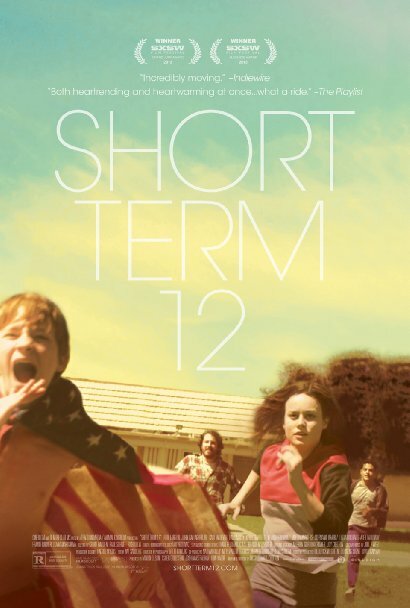 Short Term 12 employs that same strategy, and rightfully falls into the category of greatness. It’s the most raw American movie to come from 2013, and one of the year’s best. Over the course of the film we bear witness to the fact that despite some people’s greatest efforts to run away and escape, what they really long for is to be caught. To look back and see that somebody is there chasing. They want somebody to care. Somebody to reassure them that they matter. Full of powerful performances and honest storytelling, this is a movie audiences should seek out. It’s an important film. 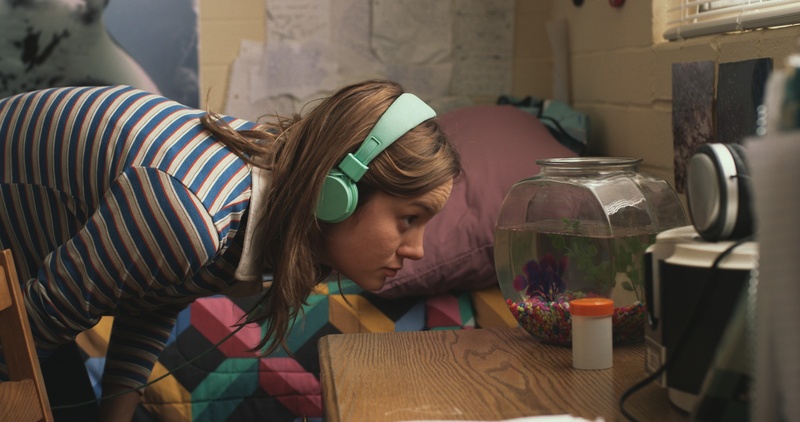 Grace (Brie Larson) is a staff member at a facility for struggling youth. She’s hardnosed and motherly in the way she interacts with the kids. And it’s obvious she is there for a reason, whether it’s the multiple shots of her digging a thumb into her hand to the point of bleeding or doing room checks like somebody who knows every last good hiding spot. Grace is overly familiar with the setting. She is committed to these kids. In a way, she functions as a surrogate mother to them. Stunningly portrayed by Larson – one of the best young actresses in Hollywood – Grace is an approachable character. We see her natural ability to care for others, as well as her ineptitude when it comes to caring for herself. Beside her throughout is Mason (John Gallagher Jr.). It’s obvious they’re dating, in spite of their best efforts to refrain from PDA in the workplace. Mason is the other half to Grace’s blunt worldview and they embody the saying that opposites attract. He finds lightness in the dark, helping bring levity to situations that seem ruthlessly tragic. They clash, mostly because she won’t open up to him, but he sees her inner beauty hidden beneath the surface and fights to find it. Gallagher’s an actor to watch and one who I hope is on the cusp of fame. He brings equal parts casual banter and emotional expression to the table. His endearing performance lifts Mason from simply being a love interest to a crux of the entire story. Director and writer Destin Cretton wisely chooses to show the kids in their natural states. It’s hard to not feel like a worker roaming through the halls, peering into the rooms, and Cretton familiarizes us with the main teenagers involved. There’s Luis (Kevin Hernandez), a young Latino who acts harder than he really is. The soon to be 18-year-old Marcus (Keith Stanfield) is an African-American suffering from abuse by his mother. And later in the story we meet Jayden (Kaitlyn Dever), a young white girl who is a near reflection of Grace. It’s wonderful to see such a diverse cast, and one that places the emphasis on the development of characters and not just the pivotal moments in the movie. The story builds towards a nice conclusion, but it’s the moments in between that really matter. Such as Mason’s reveal why exactly he does what he does, or Grace’s ability to connect with Jayden through something as simple as sketching some pictures. It’s real, palpable, and almost voyeuristic in nature. We feel like we’re watching a documentary rather than a staged and preconceived movie. Certain plot devices are in place to keep the story going: Grace gets pregnant, Mason fails to make her open up, Jayden is sent home to her domineering father. The story follows the standards beats for the most part. Yet, we never know exactly where it is going to go. It’s turbulent, just like the lives of these kids, and of the adults too. You might feel safe coasting along, and out of nowhere a moment comes and blind sides you. I can’t begin to say how much I love this movie. It’s transcendent in its portrayal of just how difficult it is to move on from past traumatic events and lead a normal life. A great example is Marcus practicing a rap to Mason. The camera is up close and intrusive in an eye-opening, heart-rending scene (sorry Frozen, but this should have been best song.) It might not be radio material, but the song really means something. We’re reminded that some kids make it out and don’t last a month. Then told that others are able to create a life for themselves. Grace, one of the best and strongest female characters in recent memory, is a steadfast example of love’s definition. She proves that you can’t love somebody until you truly love yourself, and that it doesn’t matter if you’re the one looking back to see if you’re being chased, or if you’re the one sprinting behind trying to catch up. Either way, the basic human desire to feel needed is met, and that’s all that really matters.